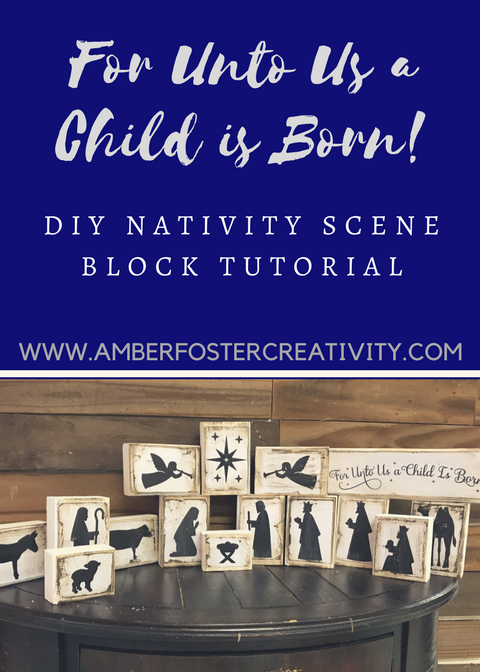 You will love this amazing primitive farmhouse nativity scene! And you can totally DIY it! No vinyl cutter needed! 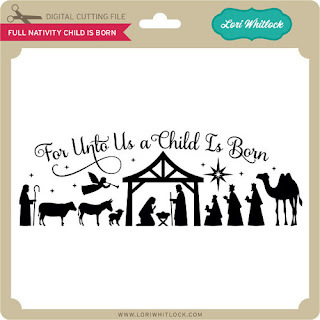 First print off the templates by Lori Whitlock onto light weight cardstock. Next, cut out each of the rectangles inside of the black line, so that the line doesn't show. They should look like this after they are cut out. Spray paint all sides of all pieces white. Then brush Mod Podge on the blocks one by one and lay the print outs on top of the Mod Podge. Be sure and just do a very thin layer of the Mod Podge or the print outs will wrinkle. Allow the bottom layer of Mod Podge to dry and then brush another coat or two over the top of the print outs and let dry completely. Now time for the antiquing. I used a dark walnut stain, but any brown or black stain you have on hand will work. Lightly rub some of the stain on the face of the blocks and then take a clean rag and rub off the excess. This will give the block its antique look. And there you have it! 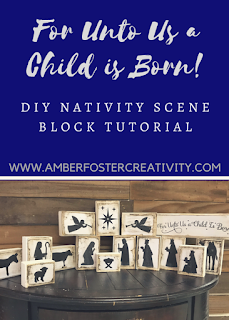 A perfectly primitive set of farmhouse nativity scene blocks! No vinyl cutter needed! Thank you so much to Lori Whitlock for collaborating with me on the project! She has the cutest SVG files for those of you who like to craft with a vinyl cutter. 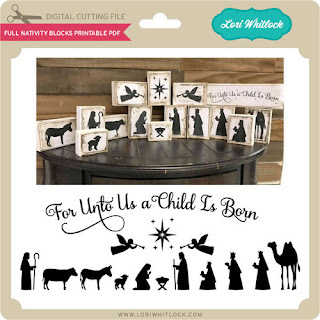 And for those of you who don't have a vinyl cutter she made a set of printable nativity cards specifically for this project! All you have to do is print them out. You can get the HERE. For those of you who prefer to use your vinyl cutter, here are the SVG files for this design. You can get them HERE. I Love this.... Thank You! !